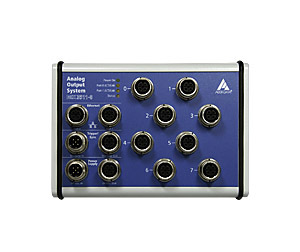 The Ethernet analog output system MSX-E3511 has 8 analog outputs, 16-bit. It is available in 2 versions: MSX-E3511 with voltage outputs or MSX-E3511-C with outputs that can be set as voltage or current outputs. The system has a 24 V trigger input and a function generator, that allows the output of any signal type, e. g. sine curves, sawtooth curves etc., the signal type can be configurated separately for each channel. It has a robust normed metal housing with the degree of protection IP 65 and an extended temperature range from -40°C to +85°C. The ARM®9 32-bit processor allows the calculation of the acquired values. 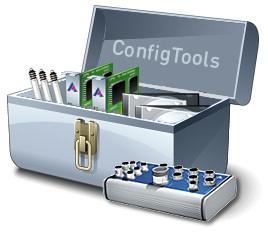 The Development Mode allows to customise applications individually. 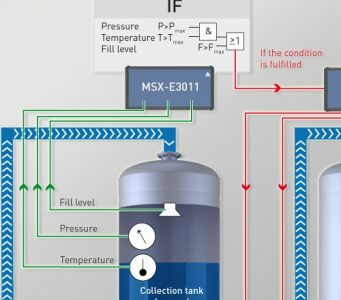 Through synchro connection, several MSX-E systems can be daisy-chained and synchronised with one another in the µs range.